By Sepp Eckenhaussen, November 22, 2018 at 9:00 am . Work faster. Gain acknowledgement. Help peers. Go P2P. Edit collaboratively. Publish democratically. Read critically. These are just some of the promises made by the recent wave software built to facilitate (digital) publication. In the previous post, I evaluated the promises of tools for marketing, post-publication management, and reading. 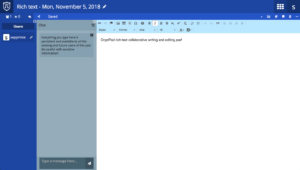 In this post, I will have a closer look at several applications developed to improve digital (collaborative) editing and peer-commenting. The emancipatory potentials of decentralized peer networks are obvious. The ability to circumvent propaganda and censorship is crucial. Buzzwords like P2P, digital community, and network collaboration are hot. But are they credible? Are collaborative editing applications built to be as horizontally structured as their names suggest? Is peer-commenting software able to deal with the toxicity of trolls and dispersed propaganda? Let’s call the range of practices in which one peer checks, corrects, and helps another through network collaborations ‘peer-commenting’. The most institutionalized type of peer-commenting is the academic peer-review. The process of academic peer-reviewing today is laborious, slow, hierarchic, obscure and – as research suggests – generally flawed. It might therefore very well benefit from new digital tools. One such tool is Peerage of Science, an international, cross-disciplinary platform for researchers, peer-reviewers and journals. Instead of making the laborious peer-review process the responsibility of the single publishing journal, the platform first couples author and peer-reviewer and then distributes the resulting article to the right journal amongst those 3000 connected to the platform. Streamlining the traditional process thus, Peerage of Science is helpful and innovative, rather than radical or subversive. The development of digital media and the internet has seen more profound changes than the streamlining of the peer-review process, including the rise of entirely new types of peer-commenting. One such change is a shift from self-help to peer-help: peer-to-peer communication with the aim to inspire, instruct and improve individual performance. Forums, comments sections, Wikis and YouTube tutorials have gained popularity and thereby decreased the authority of self-help books. The authority of instruction as present in academic peer-reviews or self-help books is thereby decentralized and distributed over networks of peers. Like in other fields, this trend can be observed in (digital) publishing. Even though self-help mediums still exist (as the example of The Write Life shows, these are usually structured as blogs), peer-help has become much more important. 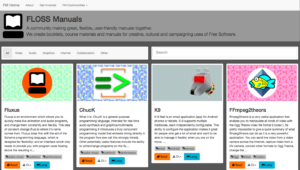 A prime example is Floss Manuals, a multi-language, free-to-use collection of open-source manuals for Free Software developed by media collective Sarai. The texts on this website are structured like conventional manuals, but unlike conventional self-help, anyone can contribute, and anyone can benefit for free. This is great for publishers with digital ambitions, because, amongst other things, Floss offers a whole range of manuals for video, audio, and internet editing software. But this is not the entire scope of peer-commenting. Recent years have seen the rise of yet another new type of peer-commenting: the fact-check. Having existed since the 19th century, in the post-truth era fact-checking has become an enormously popular practice which is as inclusive as it is unstable. Some organizations aim to facilitate an open but secure fact-checking process. For example, the well-developed and well-functioning British fact-checking platform Full Fact checks whether fracking really causes earthquakes, what the long-term costs of Brexit are and how many vegans live in the UK. Other developers take a different approach to peer-to-peer communication, substituting the security of solid facts with a trust in ever-fluid open communication. One example of such software is the Hypothes.is bookmarklet. 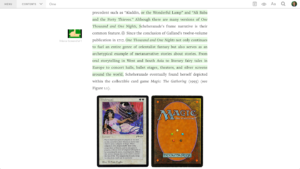 Opening this bookmarklet projects a transparent layer over any website, PDF or ePub, in which one can comment and annotate even when the original website does not provide that possibility. Moreover, other users opening that same text, will be able to see others’ annotations and react to them. 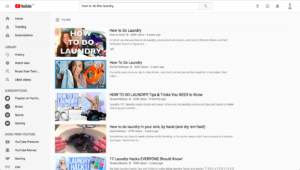 Comments section on YouTube closed? Just open the Hypothes.is bookmarklet and comment away. It is obvious that Hypothes.is, as a unique and powerful tool against centralized power and censorship, is extremely promising for educators, journalists, researchers, publishers, and activists. However, it is evenly vulnerable to trolls and spam. As the community of commenters ‘Hypothesised’ on the Hypothes.is homepage, ‘we’ll definitely want ways to manage annotations when this gets popular’. The next step in abandoning the traditional solidity of facts and embracing fluidity of peer-to-peer communication will be the establishment of a critical fluidity of peer-to-peer editing. What would such a practice of editing look like? When it comes to the topic of collaborative or peer-to-peer editing, there are already loads of software which make traditional editing processes easier. These applications include a wide array of text editors that allow for real-time collaborative rich text (WYSIWYG) writing and commenting. 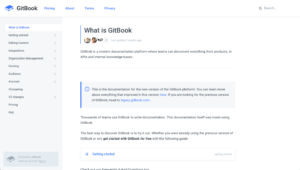 Examples range from the widely used, user-friendly, but predatory Google Docs, to open-source alternatives like Jupyter, Overleaf, Etherpad and the academic publishing platform Editoria, to the fully encrypted CryptPad (and much more). Then, there is the bunch of applications helping to digitize various process steps other than the writing and editing itself. To name a few: GitBook is an interesting application which facilitates the upkeep of a process database. 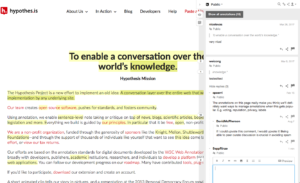 CKEditor helps to embed interactive (comments) sections into web-based publications. Open Typesetting Stack offers automatic conversions of several types of documents into academic formats. All of the above-mentioned applications are helpful. However, none of them uses digital means to actually enhance the medium or content of publications. That is to say, their use leads to publications as we know them: static print books/ePubs or web texts with a low degree of interactivity. Up to now, very little software has been developed to fully integrate the inclusive fluidity of peer-to-peer communication with the security of critical editing and the full range of technical possibilities of rich digital publishing. Is it even possible to develop software like that? A beautiful and promising attempt to make exactly this integration is Manifold, a platform for rich, modular, multimedia, interactive, collaborative scholarly publishing. Manifold allows its users to upload PDFs, Word-documents, ePubs, HTML or Google Docs-documents and then to enhance these publications by digital means to include raw data, interactive experience, audio and video next to simple annotations, links, and images. With this platform, academic publications on gaming and digital media may include actual the actual digital media discussed. Film theory books may include film fragments. Art historical texts may include picture galleries. Moreover, any registered user can highlight passages and comment in-text in the uploaded publications. And on top of all of this, Manifold maintains a pleasant reading experience. 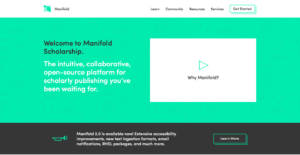 The software of Manifold is provided by its developers at the University of Minnesota as open-source but also used by the University of Minnesota Press as a curated academic publishing platform. It is filled with fascinating reads, from Internet Daemons and Social Theory for Non-Humans to Dark Deleuze and The Geek’s Chihuahua. By maintaining these publications online through Manifold, UMP opens up academic discourse to peer-commenting for everyone – including trolls. Rising workloads in academia, post-factually ranting world leaders, and increasing complexity of the world in general call for simple, open, inclusive solutions in digital publishing and knowledge production. Therefore, peer-commenting and collaborative editing are as pragmatically necessary as they are idealistic. A brief survey shows that promising software is being developed to open up true alternatives – but also that this software is (in most cases and for now) either too uncritical or too vulnerable to make a leap in (digital) publishing.